One the most obvious ways to lose weight is to eat less. Or at least take on less calories than you consume. This equation is understood by virtually everyone (or should be) who has a problem with their weight – so why is it that many of choose to ignore this most simple of calculations and search for an easier weight loss method? For most of us, we do not have the first clue as to how many calories we consume on a daily basis nor do we understand how many we expel. If an overweight or obese person were to keep a tab on their daily calorific intake and ensure that it kept to the average – gradual, natural weight loss would follow. The problem here is what is average? 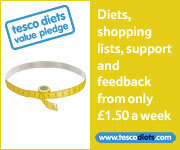 What is the average calorific intake for the average person – who is the average person? Get the calculation slightly wrong and months of calorie counting will not reduce your weight or body mass – you will be no further to reaching your weight loss target. So how can we reduce the amount of food that we consume without trying to map out a mathematical equation that may not prove effective or sustainable. We are told that certain foods are bad for us and some are high in fats and have the potential to increase our weight and body fat exponentially. This is where appetite suppressants enter the equation. An appetite suppressant can physically reduce the amount of food that you want to eat – not what you want to eat. One of the biggest reasons why a diet may fail is due to the thought of uninspiring low calorie food and a restraint on the foods that we enjoy. If you were to suppress your appetite you could still eat all of the foods that you enjoy – but less in quantity. Appetite suppressants work (in layman terms) by causing your brain to send a signal to your stomach to tell it that is full and does not require any food. 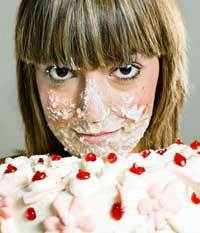 Will power (or lack of it) is the number one cause of over eating and subsequent weight gain. The choice and availability of appetite suppressants in the diet pill market, both via prescription and over the counter or high street is plentiful – reducing this down to effective appetite suppressants limits the choice to probably a handful. Using diet pills in attempt to lose weight can be hit and miss – for every effective diet pill there are a dozen others that flatter to deceive and disappoint. If an appetite suppressant is something appeals the preferable route to take would be to make an appointment with your GP or doctor – he or she will discuss your options. There are several appetite suppressants available on the NHS by prescription – Your GP or doctor will not prescribe on your say so. You will have to have a very high Body Mass Index (BMI) and have shown a real concerted effort to lose weight by trying to diet. 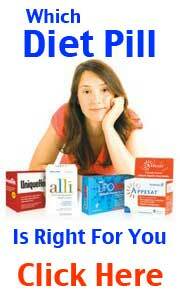 GP’s and doctors opinions vary greatly on the subject of diet pills. Some GP’s do not advocate the use of any diet pills or weight loss medication preferring other more physical focused methods of controlling weight. One notable absentee is Acomplia Rimonabant – Acomplia has been removed from the market (late 2008) amid health and safety fears. The important thing to remember with prescription appetite suppressants is that are chemically produced drugs and can cause side effects – for this reason it is very important to only obtain from a GP or doctor so that can administer under strict supervision. The most common and best know natural appetite suppressant is Hoodia Gordonii. 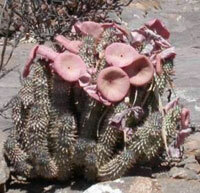 Hoodia is a natural (cactus like plant) substance that can suppress appetite without any ill feeling or side effect. Hoodia can be quite expensive as it takes 4 years to grow, harvest and make ready for commercial resale. If this is not your first exploration into the appetite suppressant market – you have more than likely come across Hoodia during your research. You will have noticed the variable price. 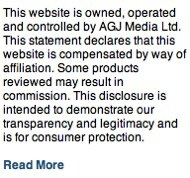 There are several dozen US (and UK more recently) Hoodia suppliers advertising Hoodia very cheaply. It is highly probable that the product contained is not an authentic Hoodia product or not produced from raw Hoodia powder.